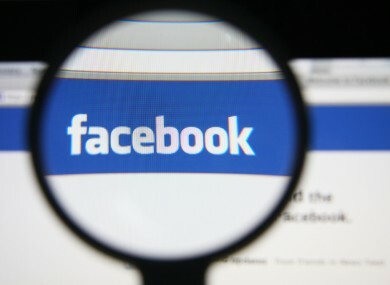 A BRITISH CHILD welfare charity has called for Facebook to be “held to account” after the social network defended its decision not to remove a video of a sobbing, naked baby being forcefully dunked in a bucket of water. The clip, which is nearly two minutes long, shows the baby screaming while an unidentified woman holds it from its limbs and repeatedly immerses it in water. A spokesperson for Facebook said yesterday that the video was not in breach of its rules and ”depicts a form of baby yoga”. The NSPCC believes we have now reached the long overdue point where it is time for social networking sites to be held to account for the content on their sites and pay more attention to their safeguarding duties to protect children and young people, whether they are viewing the content or appearing in it. Speaking this morning on BBC Radio 4’s Today programme, Facebook UK’s director of policy, Simon Milner, conceded that the issue was a difficult one for the network. Our judgement is that when this video is being shared to draw attention to it and condemn what’s happening… there is a place for it on Facebook. If it was being shared to praise it or to make fun of it, absolutely not – and in cases like that we will take it down. When users share a video to raise awareness of child abuse, the network has “seen from experience that it can and does lead to the rescue of the child,” he said. But Claire Lilley, the NSPCC’s lead on child safety online, said that the disturbing footage was not an isolated incident. “This is one example of content which many people find disturbing and distressing but yet is freely available to see,” she told the Today programme. Email “Children's charity slams Facebook over screaming baby video ”. Feedback on “Children's charity slams Facebook over screaming baby video ”.